Trina Runner is like many in the education field. As a teacher, she strives to open the world up to her students by way of her classroom. For those fortunate enough to have been one of her students during her 31 years teaching including being at BHS since 1993 or currently one of her students, they’ll likely tell you that’s the case. As it turns out, teaching has helped open up the world to Trina Runner and that’s allowed her to bring the world back to her classroom. She’ll further enhance that next month. Runner will be in San Diego from May 9 through May 11 as part of the National Chinese Language Conference. Understand, she didn’t purchase a ticket to be there. She’s not going as part or a group wanting to learn more about China and its language – although that will likely happen as some positive collateral damage. Instead, Runner is going to the conference as a presenter. And how she got there isn’t something that is part of a random draw. Instead, it’s part of a process that began roughly a decade ago. Before getting to how she ended up in a very prestigious role at the conference where she’ll be representing her school, community and state, a rewind to how it all started in 2009. It was back in that year Bridgeport High School created a Go Global Initiative and runner was involved. Those taking part were involved with various workshops where the focus centered on culture and design lessons all aimed at assisting students the interdependence between countries and the upside of discovering those same countries similarities. That, eventually, would lead Runner to another big step a year later. “In 2010, I had the opportunity to attend the National Language Chinese Conference in San Francisco. 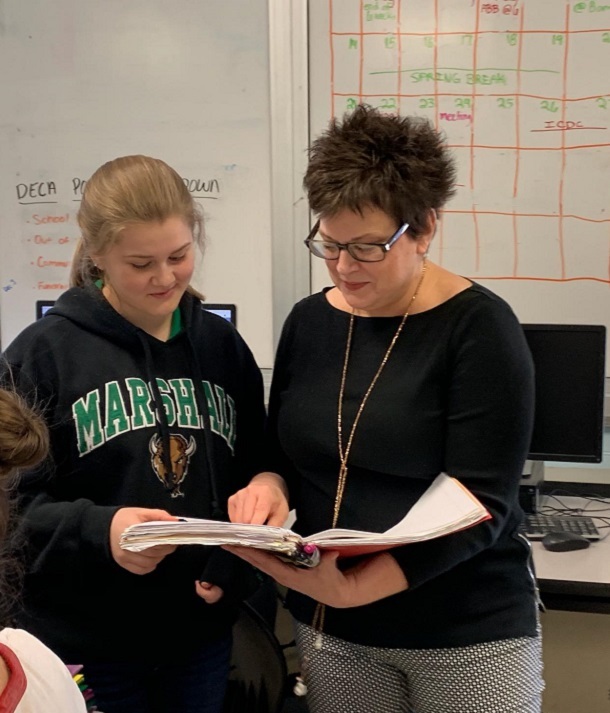 While there, I learned about the value of the Chinese Language program that, at that time, was in the Bridgeport schools,” said Runner, who teaches Marketing Principles, Personal Finance, Entrepreneurship and Tourism Hospitality at BHS. “I noted the multi-disciplinary approaches that could be used to tie together different subject areas around projects that highlighted the culture of China. Number nine, perhaps not so surprisingly, was China. 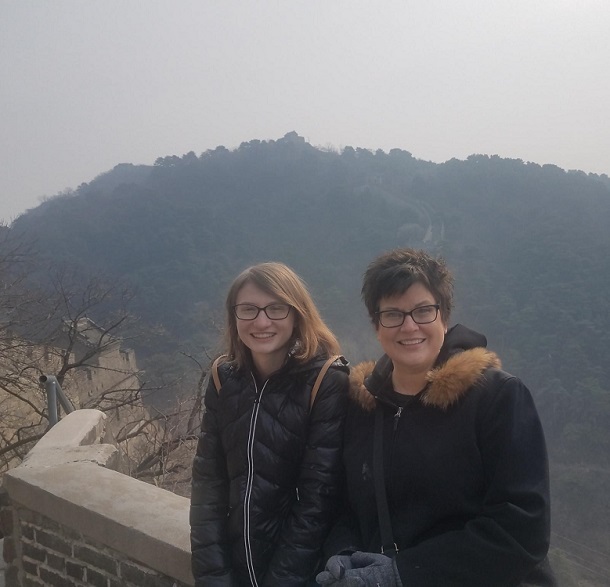 That came about in 2018 when Debbie Nicholson, who formerly taught Spanish at BHS, asked Runner if she would consider a trip to China. The trip wasn’t for fun (although that did happen), but to teach at a winter camp. Runner jumped at the chance. That eventually leads Runner to the aforementioned conference. A half a year after her return stateside, Runner was contacted by Asia Society. The email in question sought submissions for the purposes of making a presentation at the conference next month. Here’s the thing: The email didn’t guarantee her a chance to present at the conference. Instead, she had to come up with an idea to be considered for presentation at the conference that is an international festival drawing in educators globally for the purpose of learning about all facets of China. The thought process started from what Runner observed while in Asia. She noted the serious nature of students with school, often attending 13 hours daily for six and even seven days a week. The students would even live in dorm-style campus setting. “Sports, jobs, and entertainment all took a back seat to school, which, in theory was great. In reality, I noticed that when they were asked to work collaboratively or to be creative, many students in China struggled,” said Runner. From those observations and thoughts, Runner came up with her proposal on dealing with students who she said are used to logical instruction and why collaboration, soft skills and even critical or creative thinking can create hurdles. From doing research, Runner determined students are gifted on the academic front – regardless of country – have a tendency for to become dispirited if clear answers and predictable behavior don’t materialize. That led to the proposal. Runner’s proposal was joined by more than a hundred from all corners of the globe. At the start of 2019, Runner found out her proposal was among a select few chosen. Of course, like all the great educators, Runner isn’t just thinking about being a speaker at the conference. She’s already thinking about how her experience at the conference can benefit students in her own classroom. 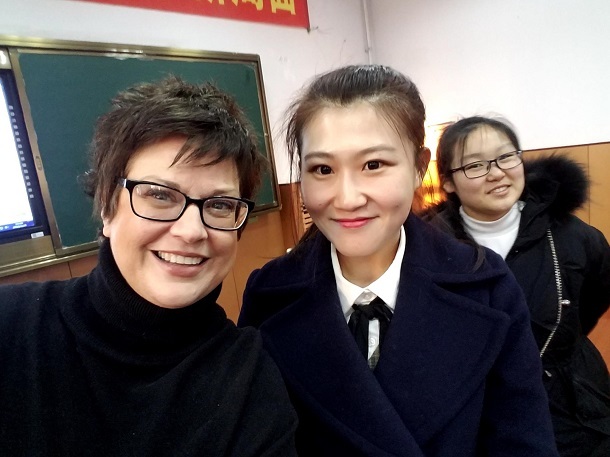 Editor’s Note: Top photo shows Trina Runner during her time in China working with students in 2018. The second photo shows her in her own classroom assisting student Ashley Spring. Bottom photo shows Runner with her daughter Molly Runner on the Great Wall of China Photos courtesy of Trina Runner.